Located in Luxembourg, a unique FinTech hub in Europe, EBRC offers the ideal environment to support your e-payment business! Already 25 FinTech trust in our Services! 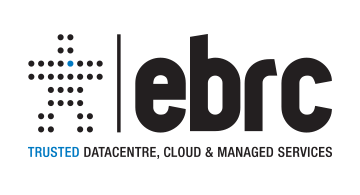 PCI DSS specialist for your e-Business projects, EBRC is a reliable “One-Stop-Shop”, offering end-to-end ICT Trusted Services, from Data Centre to Cloud & Managed Services. With a-15-year experience, EBRC is leader in the management of sensitive information. Our services are based on a highly secured and sustainable infrastructure. High availability, integrity and protection of your strategic data are guaranteed thanks to our EARTH values (Excellence, Agility, Responsibility, Trust, Human) and our 3 Tier IV certified Data Centres, international accreditations (ISO 27001, ISO 20000, ISO 14001, ISO 9001, ISO 50001, PCI DSS Level 1) and prestigious international and national recognitions. EBRC supports innovation and e-business development. Among others, EBRC is strongly involved in “Digital Letzebuerg”, the new Luxembourg initiative on information and communication technology.